For the past two centuries Christianity has been subjected to an unrelenting barrage of criticism from unbelievers who have argued that historical statements in the Bible are wrong, that the Bible's view of the universe is primitive and mythological, and that God and miracles cannot be reconciled with our modern scientific knowledge. In the popular mind, the phrase "It has been scientifically proved" has replaced "Thus says the Lord" as the final authority. 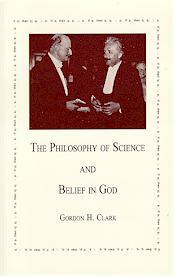 Dr. Clark demonstrates, to the consternation of churchgoers who have accepted the authority of science, that science can offer no objection to the Bible and God, for science never discovers truth. The scientific method is a tissue of logical fallacies. Contents: Introduction; Antiquity and Motion; Newtonian Science; The Twentieth Century; The Limits and Uses of Science; Index.